The luxurious Hurst Castle suite is a room of generous proportions. Hire this deluxe studio style suite and you'll be able to enjoy a total of 48.00sqm of space. The accommodation includes either a super king-size bed or twin beds. 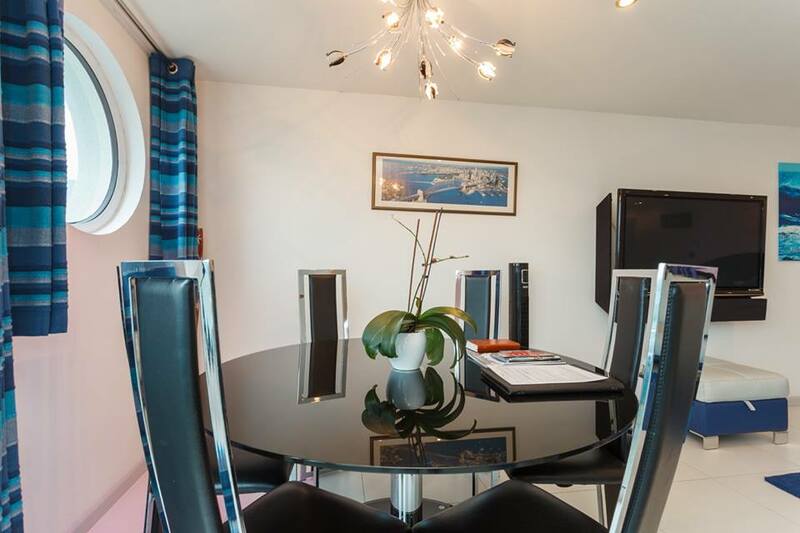 It has a large private east-facing balcony, enjoying unrivalled views overlooking Sturt Pond Nature Reserve, Hurst Castle and The Needles on the Isle of Wight. 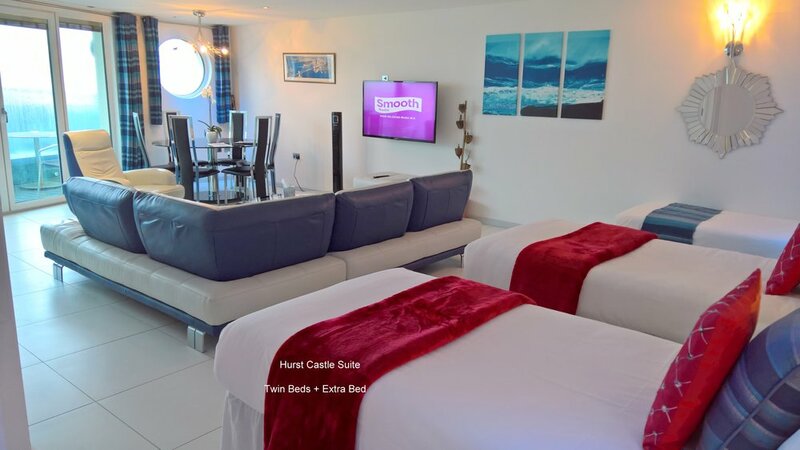 The Hurst Castle Suite is most suitable for couples, wanting a more luxurious overnight stay, or families with small children, as there is an additional pull-out bed and plenty of room for an additional Z-bed or cot. Fridge and microwave oven, cutlery and crockery. — Lee & Geoff (Trip Advisor, March 2018).